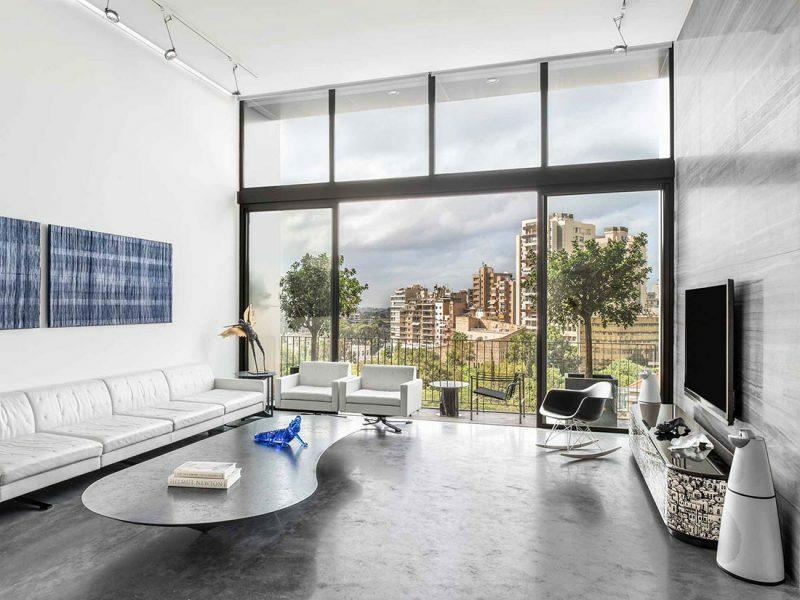 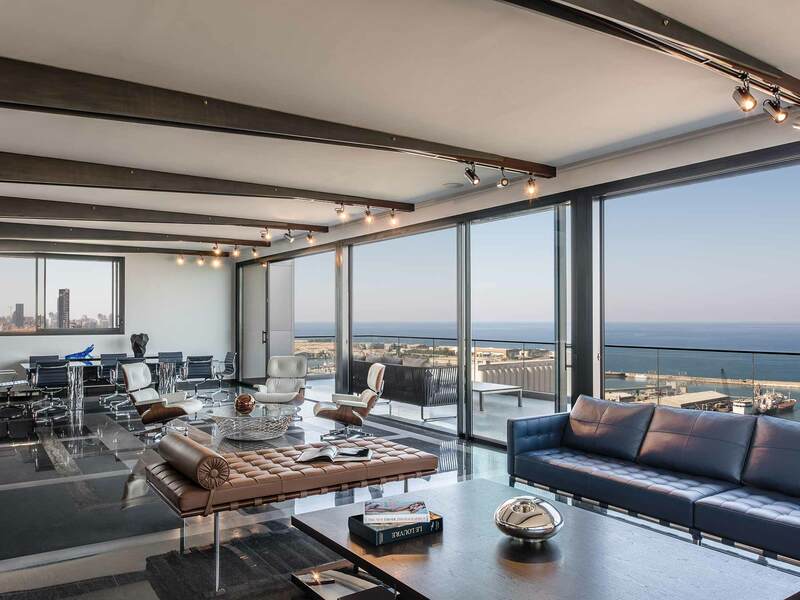 A modern penthouse featuring 650m2 of prime interior space, Skyline is the epitome of elegance and comfort. 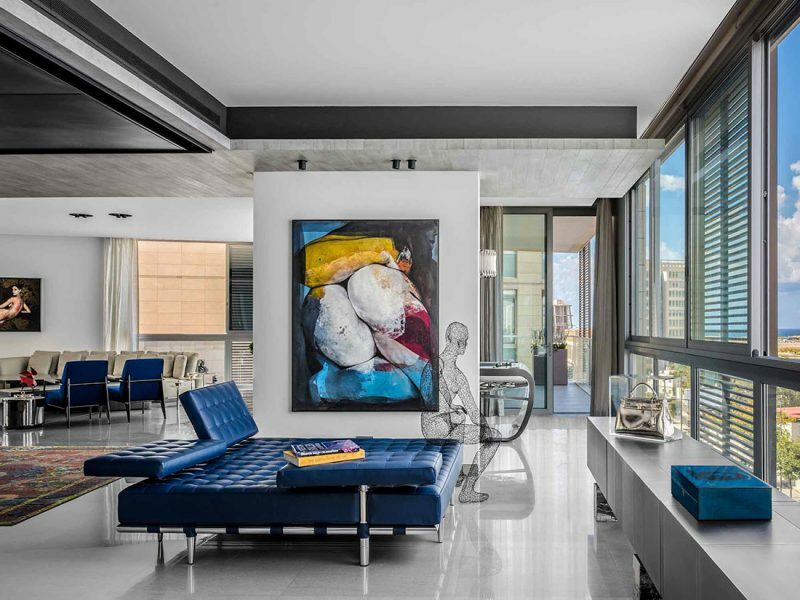 As warm and cosy as it is well lit, the pad is a true haven for the 21st century’s modern bachelor. 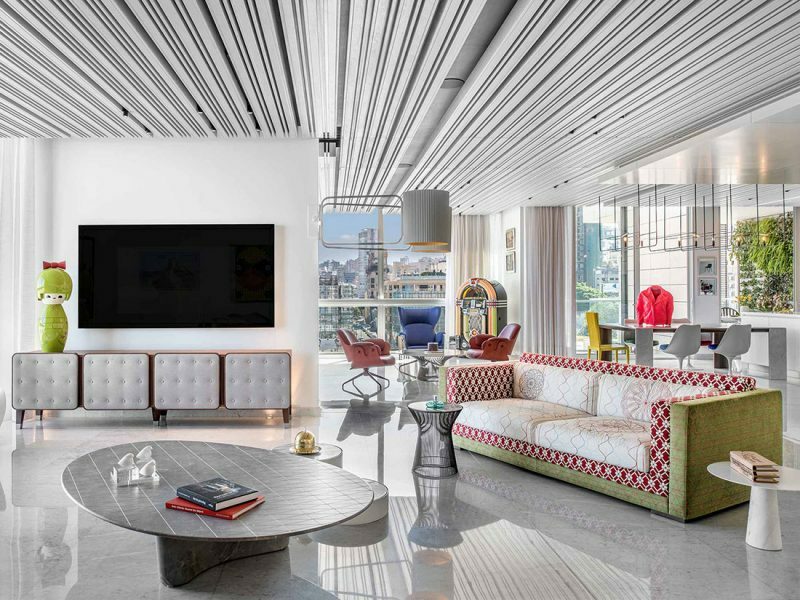 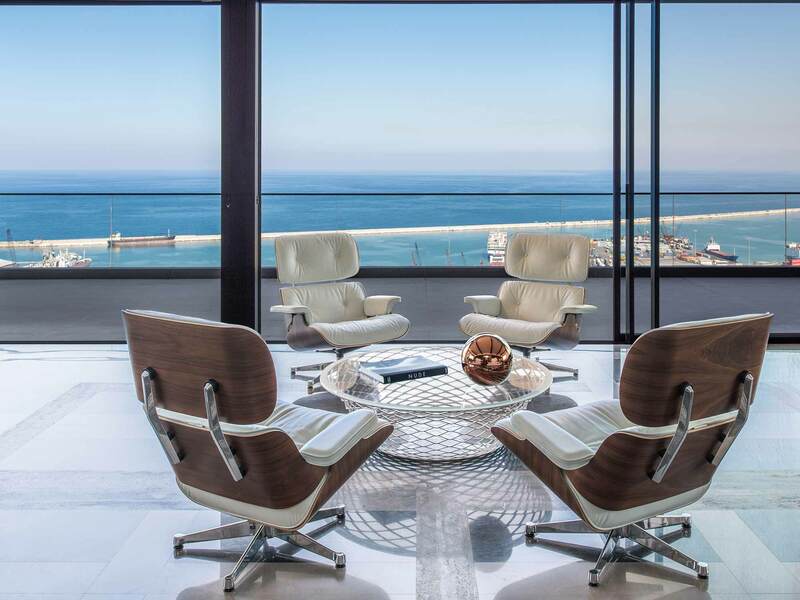 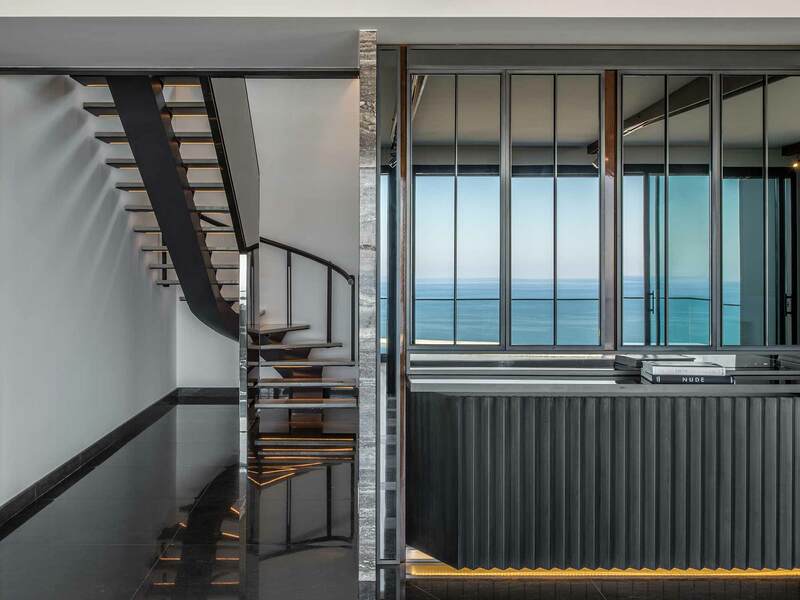 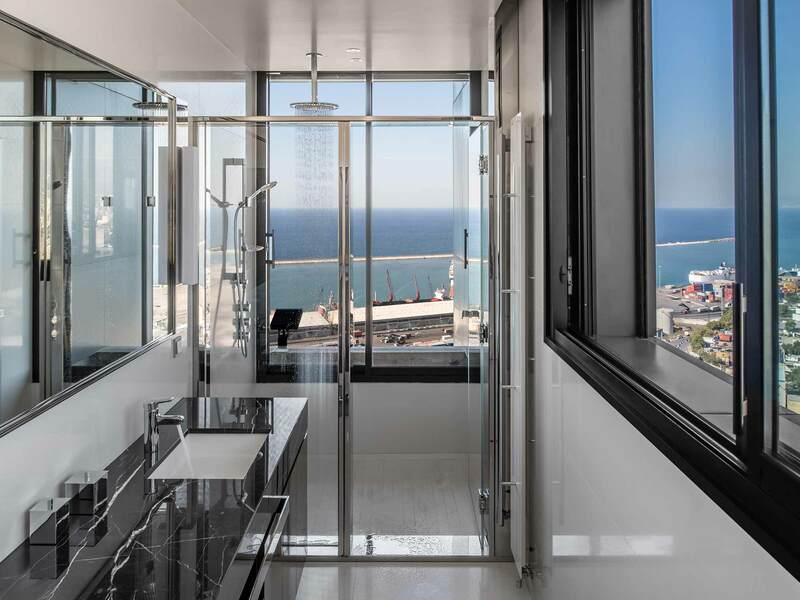 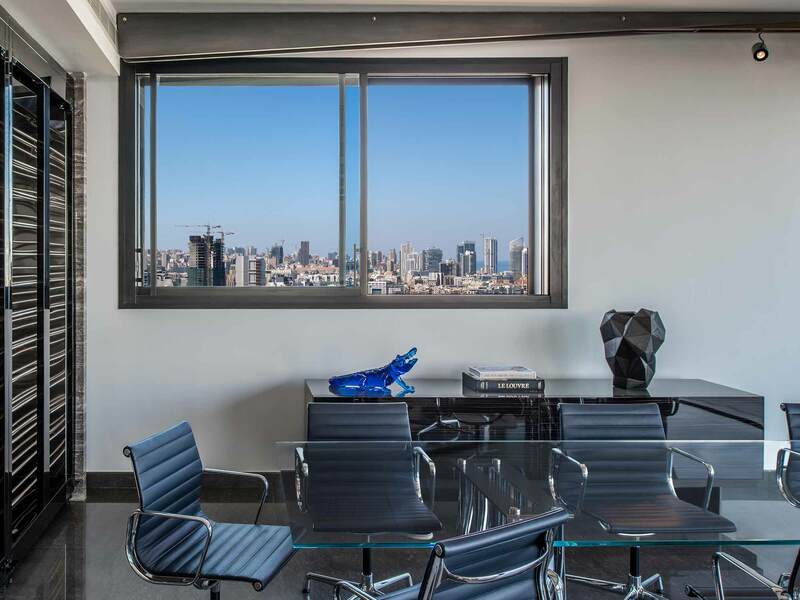 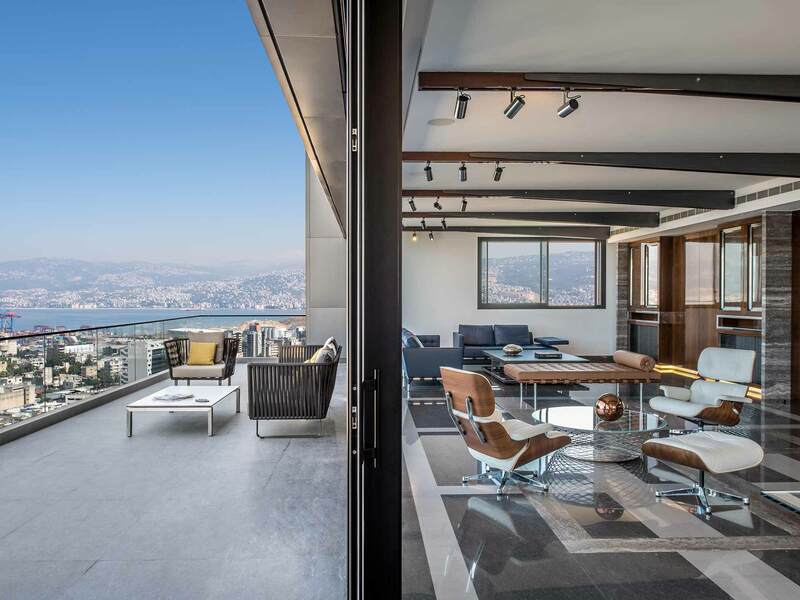 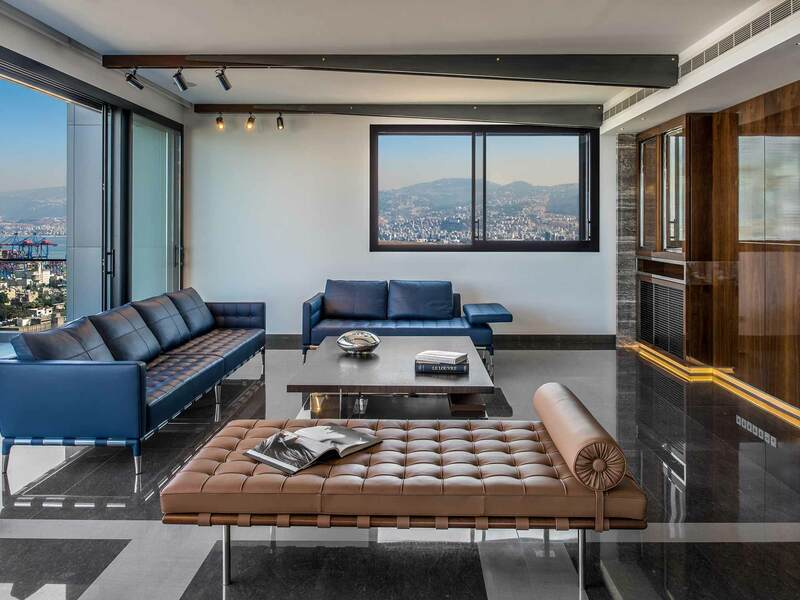 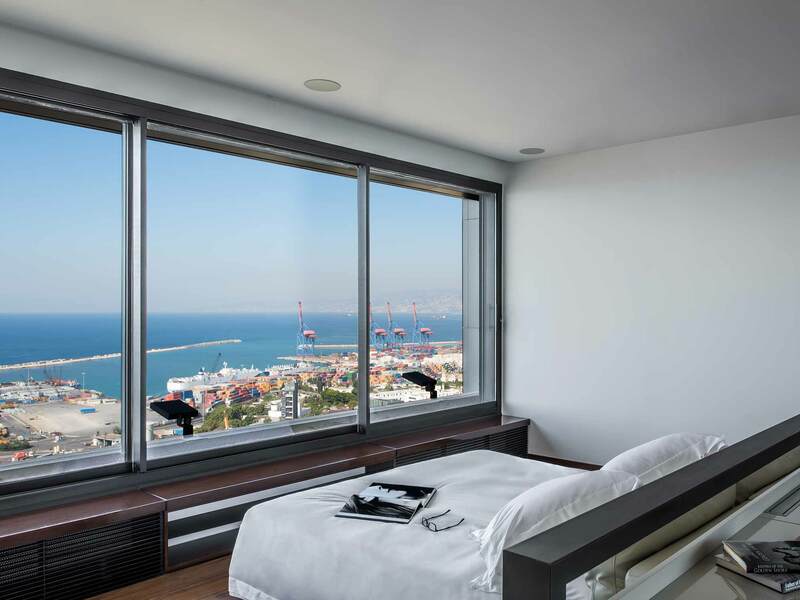 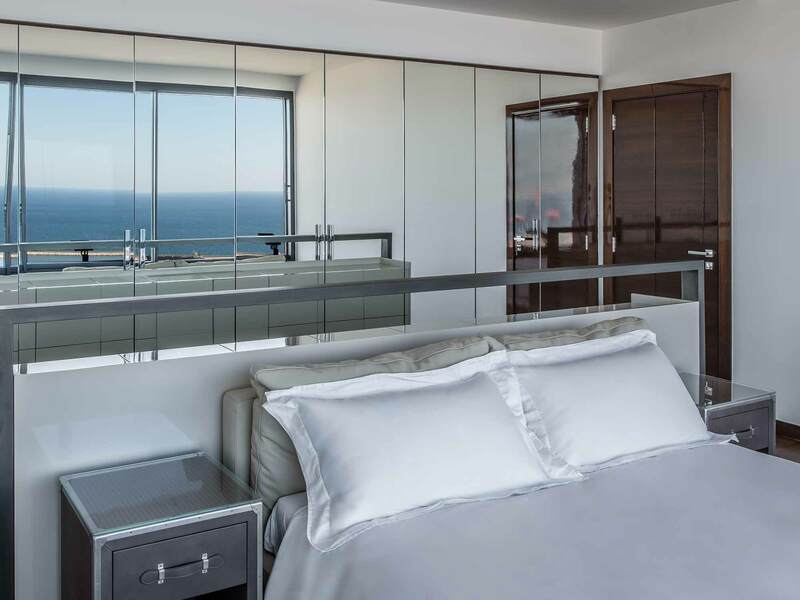 The apartment is housed in a unique high-rise tower designed by famed architect Bernard Khoury, standing tall on the North-Eastern end of Beirut and offering a breath-taking panoramic view of the majestic Sannine Mountains. 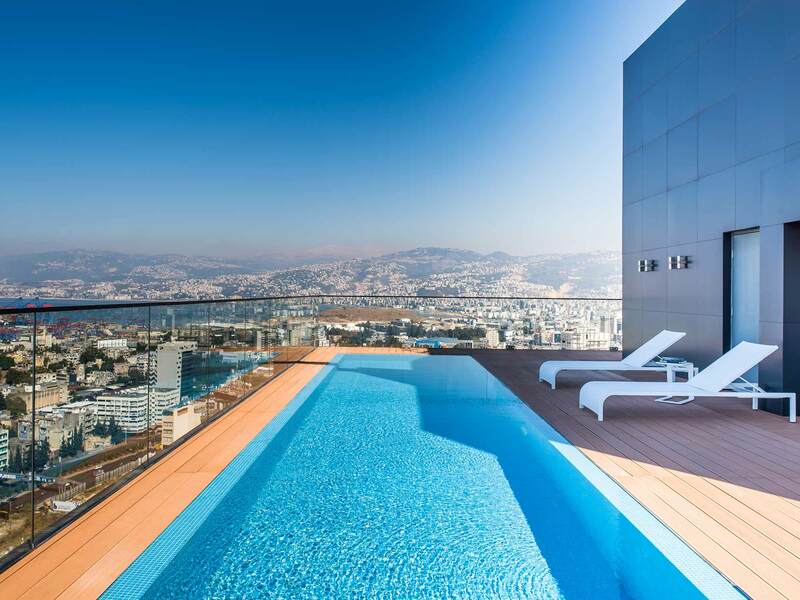 Reflecting the excellence of its exterior architecture, the penthouse is spread over three equally spacious levels with an interior décor lined with marble elements and wood panels, and features a sparkling private rooftop swimming pool. 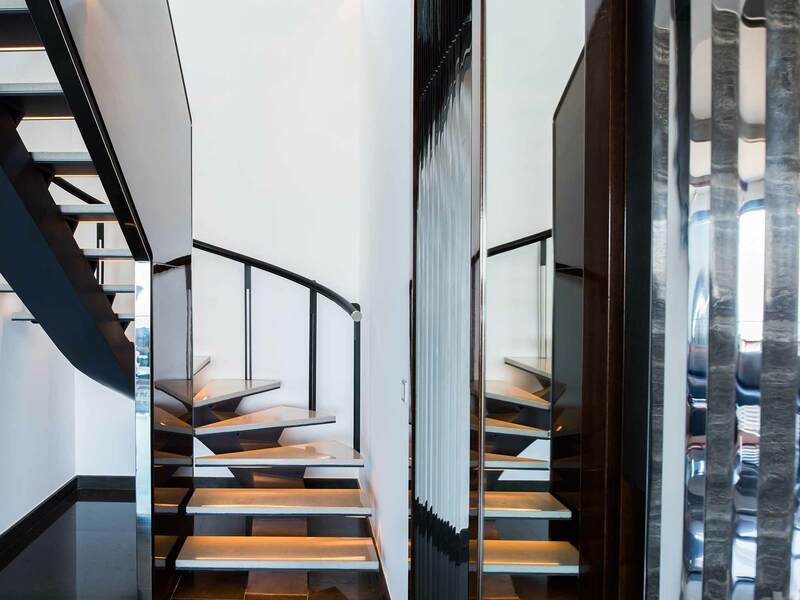 By embracing the modern value of hard architecture through muted tones and hushed colour palettes, the finished product is at once clear, sleek and modern. 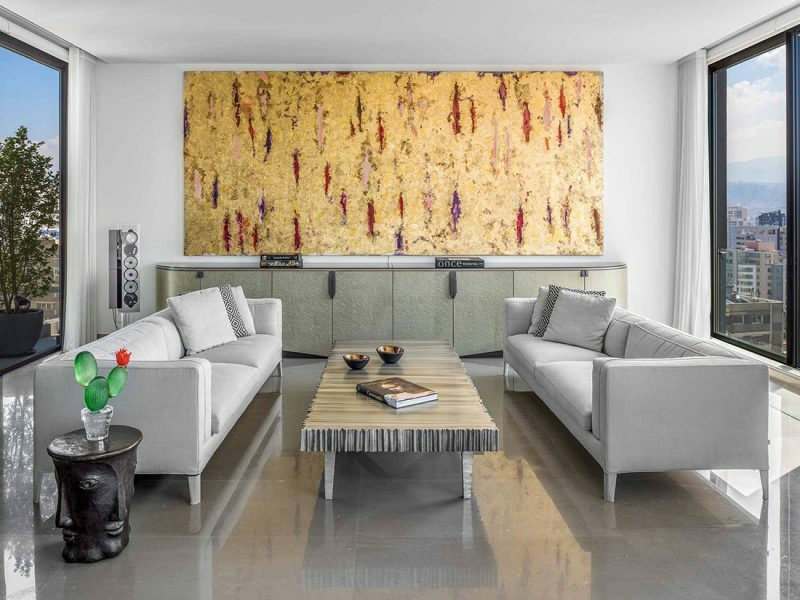 2017 ® Askdeco All rights reserved.